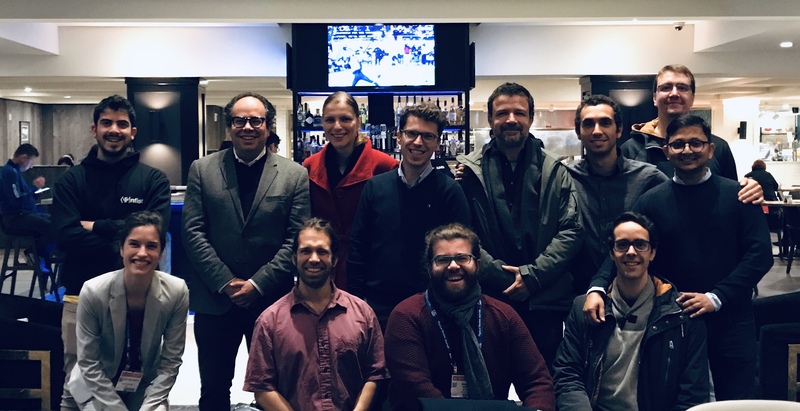 Our team was present at the APS DPP 2018, with an invited talk by Marija V, and contributed talks and poster presentations by Ricardo F, Kevin S, Thales S, Nitin S, Giannandrea I, Fabio C, and Miguel P. The work by Marija V was featured as a press release of the APS DPP 2018 that was highlighted by several outlets (e.g. ScienceDaily, Phys.org and DOE’s NewsWise). The APS DPP 2018 was also another excellent chance to meet all the GoLP and epp team alumni, friends, and collaborators, and to keep up our commitment to continuously raising the bar. The “Natas” of Visualization 2018 have been announced! You can find a list of our previous visitors here. You can find more information about IST cluster here. Click here to know more about our Connections. © 2019 extreme plasma physics // All the material on this website may only be used with the express written permission of the extreme plasma physics team.